Cry9 ransomware uses sophisticated techniques to infiltrate computers and hide from its victims. Use Reimage to determine whether your system is infected and prevent the loss of your files. What methods are used for the virus distribution? 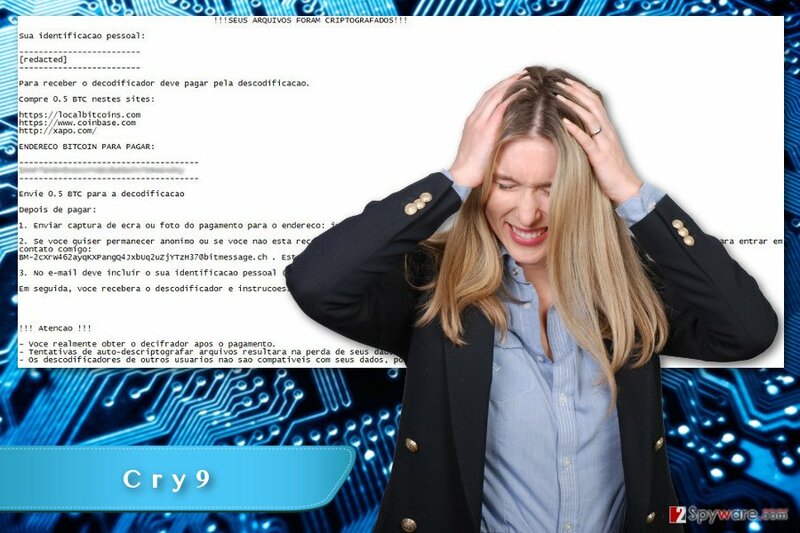 Cry9 ransomware virus aims at the Portuguese-speaking computer users. This conclusion is based on the ransom note that is dropped on the affected computer’s system. It’s written in Portuguese only. Despite the narrow target field, this crypto-malware behaves like an ordinary file-encrypting virus. It uses AES cipher to secure MS Word, PDF, different picture, video, and audio files, databases, archives, and other popular file types. Following data encryption, the Cry9 virus leaves a ransom note where victims are informed about ransomware attack. The cyber criminals ask to purchase 0.5 Bitcoins from the provided links and transfer them to the provided Bitcoin wallet address. Once the payment is made, victims are supposed to send a picture of the transaction and unique ID number to the juccy@protonmail.ch or using Bitmessage service. It seems that developers leave victims a chance to stay anonymous. Moreover, the letter from the cyber criminals also warns that trying to restore files independently may lead to the data loss. Victims are no longer supposed to wait for the decrypter to restore their files. A well known company Emsisoft and its researcher Fabian Vosar presented this tool to help people fight against this ransomware virus. So, you should not even consider paying to hackers. Remove Cry9 from the device and try safe tools for data recovery. Ransomware viruses not only encodes a wide range of personal information but also makes the computer vulnerable. As a result, other malware might use these flaws and infiltrate the system too. For this reason, delaying Cry9 removal is not recommended. We firmly recommend installing professional malware removal tool such as Reimage or Plumbytes Anti-MalwareMalwarebytes Malwarebytes and run a full system scan several times. Unfortunately, elimination of the malware does not help to restore corrupted files. For that, you need data backups or additional tools. However, it’s still unknown whether Cry9 ransomware is capable of deleting Shadow Volume Copies or not. If not, data decryption can be successful by using such tools as ShadowExplorer. We want to point out that data recovery is not a primary task after ransomware attack. You should focus on malware removal because trying to decrypt data on the affected computer might lead to another encryption. Cry9 ransomware virus targets Portuguese-speaking computer users. However, no one can protect other users from this cyber threat. Developers of the Cry9 virus use various tactics to launch successful infiltration campaigns. Obviously, the primary method to spread a payload is email attachments. People may receive spam emails that urge to open an attached document. Nevertheless, the content of the letter and attachment itself looks reliable; you should check it twice. There might be a typo, grammar or spelling mistakes that will reveal the criminals. Cry9 malware might also infiltrate the system after clicking on a malicious link or malware-laden ad. Thus, never rush to click on a suspicious link that was sent even by your friend. Always make sure that it’s actually safe to open. What is more, if an amazing shopping deal pop-ups when browsing the web, you should not get excited and rush clicking it. It might be a perfectly polished malware-laden ad. Lastly, make sure you install and update programs from the reliable sources because ransomware might pretend to be a useful software. Previously, we have mentioned that Cry9 removal has to be performed using professional antivirus or malware removal software. However, we haven’t explained why. File-encrypting viruses are complicated and tricky cyber infections. Thus, trying to detect and eliminate malware-related components is not an easy task. Honestly, only experienced IT experts can complete this task without causing damage. 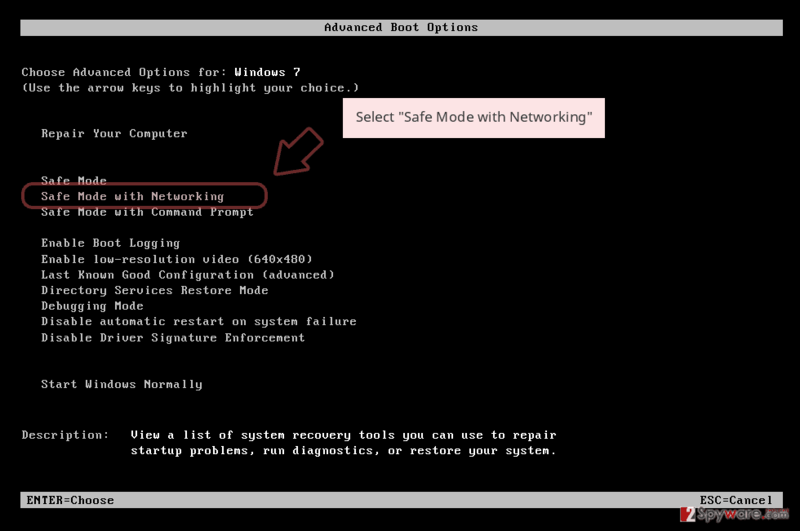 If you try to remove Cry9 manually, you can delete crucial system files. Indeed, this kind of computer infections is capable of camouflaging themselves by using the names of legitimate system processes and files. For this reason, we highly recommend choosing one of these tools and perform a system scan: Reimage, Malwarebytes MalwarebytesCombo Cleaner or Plumbytes Anti-MalwareMalwarebytes Malwarebytes. If you cannot install or run a system scan, follow our prepared guidelines. Cry9 malware might be resistant and prevent you from installing or accessing security program. In order to perform automatic virus removal, you need to disable it first. 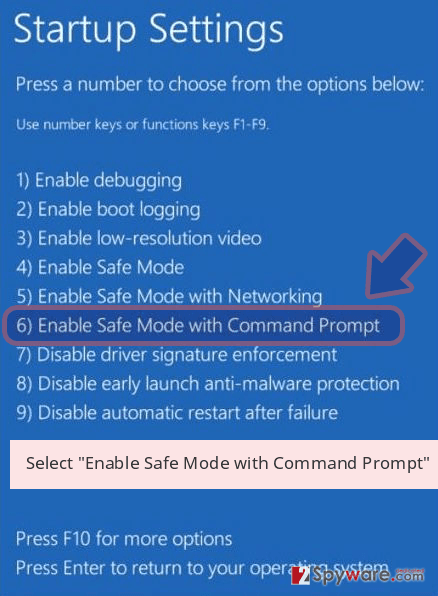 Follow the steps below to reboot your computer to the Safe Mode, and then run a full system scan with your chosen software. Log in to your infected account and start the browser. Download Reimage or other legitimate anti-spyware program. Update it before a full system scan and remove malicious files that belong to your ransomware and complete Cry9 removal. 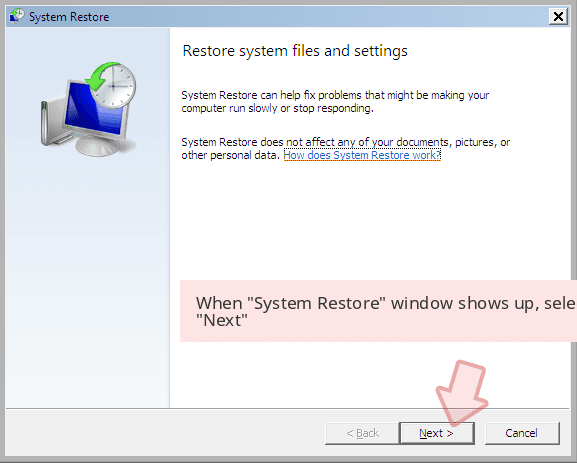 If the previous method hasn’t helped you to disable the virus, try System Restore method. It is supposed to help to install or access ransomware removal tool. 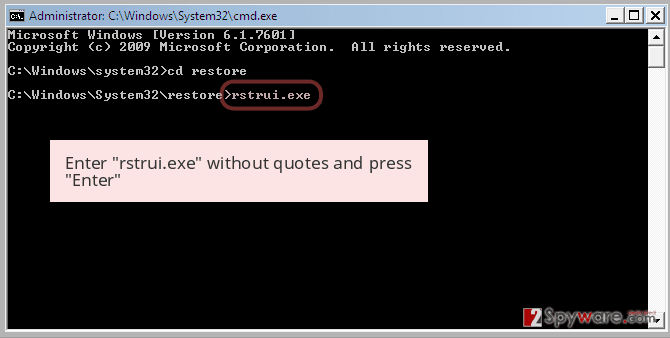 When a new window shows up, click Next and select your restore point that is prior the infiltration of Cry9. After doing that, click Next. 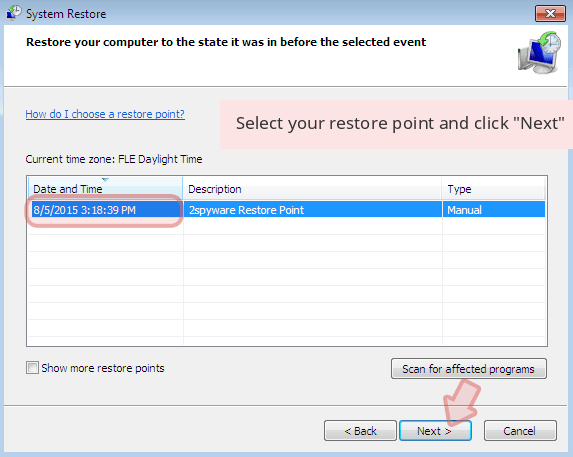 Once you restore your system to a previous date, download and scan your computer with Reimage and make sure that Cry9 removal is performed successfully. 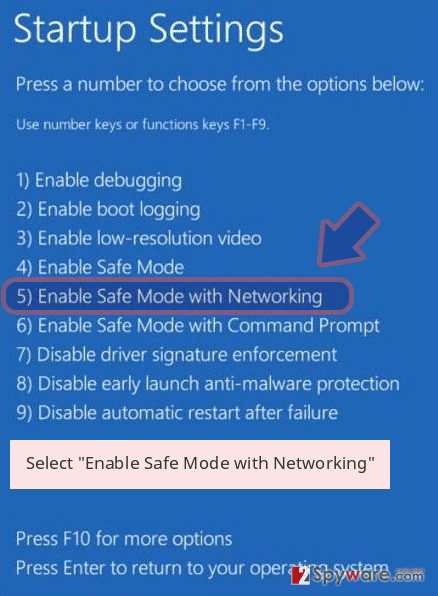 Guide which is presented above is supposed to help you remove Cry9 from your computer. To recover your encrypted files, we recommend using a detailed guide prepared by 2-spyware.com security experts. Data backups are the only safe way to restore encrypted files. However, if you do not have them, try additional recovery methods. We cannot assure that all your files will be rescued. But it’s your only choice at the moment. This professional software helps to restore corrupted, deleted, and some of the encrypted files automatically. Don’t forget that it’s not a legitimate Cry9 decryptor. 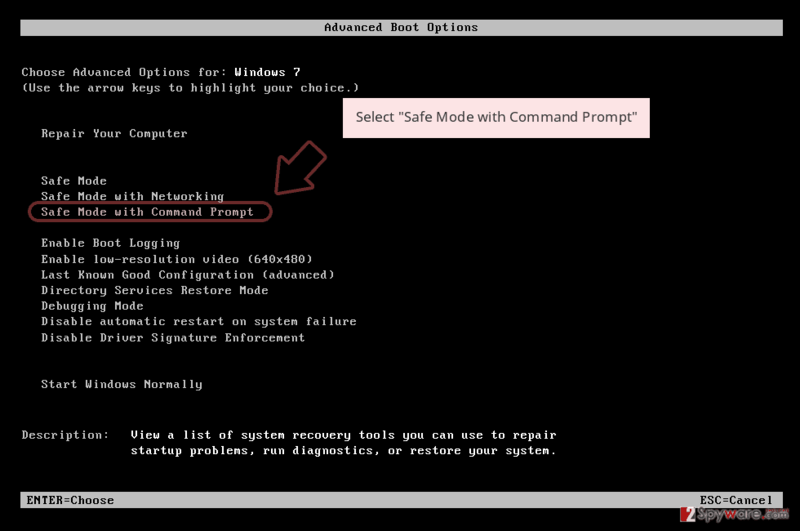 If System Restore method has been activated on your computer before ransomware attack, this method is helpful to you. Otherwise, you won’t be able to copy previously saved versions of the encoded files. Emsisoft has been helping users to recover their encrypted files for months. Recently, the company presented Cry9 decryter which is available here. To use it properly, you need to have two versions of the same file – encrypted and unencrypted version. 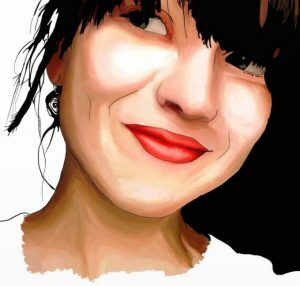 ^ Bitmessage. Wikipedia. The free encyclopedia. ^ Keith Murphy. 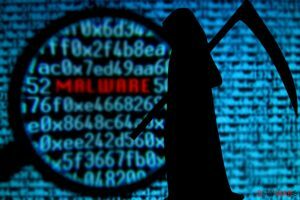 7 Biggest Malware Threats of 2017. Linkedin Pulse. Timely news for the Linkedin users. ^ Brien Posey. Volume Shadow Copy Service lets users restore, recover files. TechTarget. Includes tips, webcasts, and other advice in a variety of focused enterprise technology channels. ^ Eric Koshinsky. How To Identify A Virus Infected E-mail Message?. Small Business Brief. Providing resources, articles, current news, a software directory and a small business ideas forum. This entry was posted on 2017-04-18 at 00:26 and is filed under Ransomware, Viruses. You can quickly scan the QR code with your mobile device and have Cry9 ransomware virus manual removal instructions right in your pocket. How did you remove Cry9 virus?